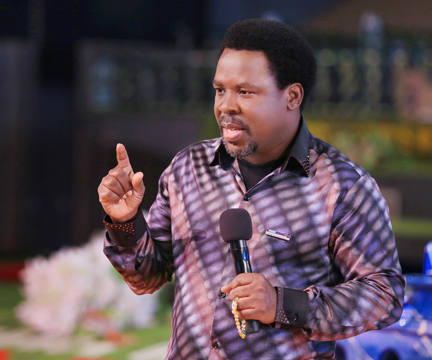 Founder of The Synagogue Church of All Nations, Temitope Balogun Joshua, commonly referred to as T. B. Joshua, has called for a 3-day fasting and prayers session on behalf of Leah Sharibu and other students kidnapped by the terrorist group, Boko Haram. Representatives of Chibok in Borno and Dapchi in Yobe had on Sunday sought spiritual help at The Synagogue, the Church of All Nations, at Ikotun-Egbe, Lagos to pray for the release of Leah Sharibu and other students kidnapped by Boko Haram. Leah Sharibu who is the only schoolgirl among the 110 students abducted from Government Girls Science and Technical College, Dapchi, Yobe State, on 19th February last year that is still with the brutal terror group and is being held back because of her Christian faith.